HomeRated “OUTSTANDING” by Ofsted in April 2016! Rated “OUTSTANDING” by Ofsted in April 2016! It’s so good that it’s worth saying it again, and we have a banner for it too! 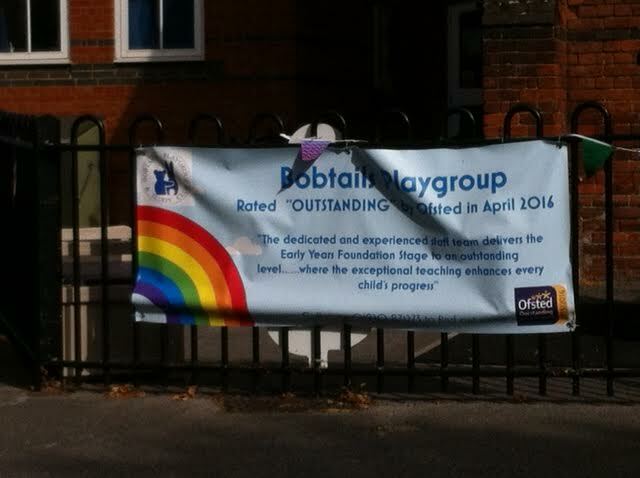 Updated Newsletter ‘Outstanding’ Ofsted inspection "Bobtails Playgroup is fantastic!"